What are the best friendly places to Retire (or do a sabbatical with your family)? Guanacaste, Dominical, and/or Central Valley? The age old question of where the best place to retire is? Well, if we are talking about Costa Rica I feel obligated to give my opinion. 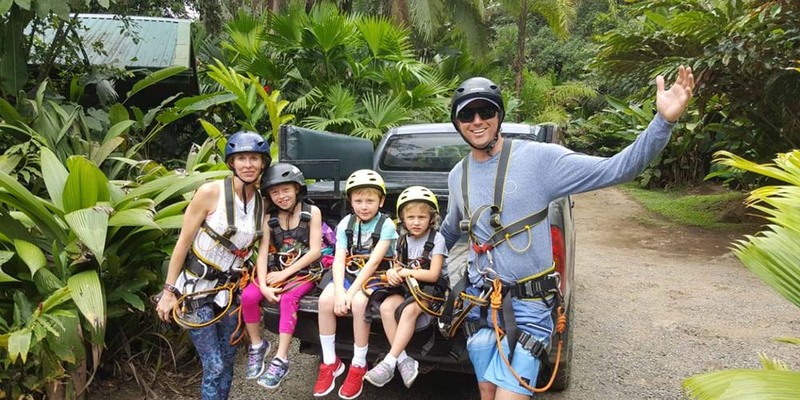 I moved here when I was 20 years old and since moved my parents down to retire, moved an uncle down, helped multiple family friends make the move and have lived in six different areas of Costa Rica while running a business. I have seen more people come and go and come back again. I feel at age 38 I could sit down with a couple looking to retire, look at their financials, get a feel for who they are as people and give you a layout of where and what they should do in Costa Rica. Let’s just say it has been a 20 yr schooling of Hard-Knocks University but I am still here and I love everything about my life in Costa Rica. I am going to talk about three places that I mostly get asked about. They happen to be the three places of the country where you will find great dining, supermarkets with all the goods from home, and enough people to speak English to keep you more informed than most locals. Two of these places are on the Pacific coast which are Guanacaste and Dominical. The third place is the Central Valley. While everyone wants the beach, mark my word that San Jose, Costa Rica is on the verge of taking its place in future generation’s history books. While most people look at it now and see a capital city overcrowded with cars and old infrastructure, I see the most perfect weather on the planet along with a society on the brink leaping into the future ahead of most if not all developed countries. In short imagine San Jose is going to be the Elon Musk playing ground of electric cars , modern infrastructure, and a life of modern efficiency at its peak. This will ultimately result in San Jose becoming a global attraction not too mention perfectly situated in the middle of North and South America along with two coasts to Europe and Asia. So do I think San Jose is worth the investment, YES! Do I think it is the right place for you to spend the next 20 years of your life, depends. There are places of the Central Valley (San Jose) that can keep you isolated from the hectic parts. Not too mention if you are retired you should not be doing an 8 to 5 job commuting everyday. The valley is vast and not all of it is hectic. My parents found themselves a small corner of the valley with everything they needed. They had healthcare, great food, church, modern supermarkets, and more. They only had to sit in traffic if they needed to update something at Immigration once every couple months. One of the main benefits of the Central Valley is you really will have easy access to the entire country. My parents got to see every inch of Costa Rica. Weekend trips were something that were doable because of our close proximity to everything. If you want to enjoy Costa Rica for what it really is, which is an endless amount of pockets of paradise, then the Central Valley is where you need to be. The other options are similar to each other in that they are the beach but in a sense two different worlds completely. If you compare Guanacaste and Dominical the most obvious would be that Guancaste is dry and hilly and Dominical is more mountainous and greener. I say green because the rain really does not affect beach going if you live there. Your numbers of sunny mornings outweigh your rainy mornings by a long shot. Here is something to consider. When I was 20, I voted Dominical as the best beach in Costa Rica. You could surf, raft, and rappel waterfalls all in the same day. This all sounds great but now my legs are not what they use to be. I now visit Guanacaste when I want to go to the beach. If you are retired my vote would be Guanacaste although if you want to just sit with jaw-dropping views then go to Dominical. Ask yourself these questions on factors that take an unforeseen toll on people in Costa Rica. Try to answer the questions below before you tell yourself a certain view, color of sand, or style of architecture will make life perfect in Costa Rica. How much of my day to day life is in a car? Sounds adventurous but not bouncy car rides take a toll on bodies even if broken up into 10 minutes. If you can walk places you will enjoy things more. If you answer more than 5 minutes per day you need to spend less on the house and more on a car to ease the comfort. How far is the nearest airport? You end up going home much more than planned when you live abroad. If you plan to go home once a year you will be home 2 or 3 times a year. Don’t let “nearest hospital” be an issue. I have seen too many people base their decision on the nearest hospital. Most cases it bumped their 3rd or 4th choice up to first place. My dad ended up going home for his heart procedures. Having worked on an ambulance for a summer in the US most 911 calls can have a patient in the ER in an incredible 20 minutes. Here in Costa Rica that is not gonna happen. Although Costa Rica has amazing health care that all of my family have used (other than my dad) it is in a sense a mute issue to base your retirement on 45 minutes to 1 hour 911 response time and I am being considerate. The sheer change of lifestyle in Costa Rica is likely to bump a few extra years to your time on Earth so let that be your counter argument. It is because of those questions I started leaning towards Guanacaste. Easier access to properties, closer airport, and once you find your town the drives are short to and from things. The perfect and my favorite example would be Nosara. Now if you still want to live in a paradise on steroids then Dominical is your spot. The mountain meeting the sea makes for awe-inspiring views from every angle and a much more jungle feel. Access is a little harder to certain properties, the area is stretched out along the long coastal highway resulting in longer drives, and closest international airport is still San Jose. The warm, year-round temperatures make it an ideal spot for surfing! Properties in Costa Rica is a company devoted to Real Estate. Our primary goal is to give our clients and investors the best possible solution to their Real Estate needs.